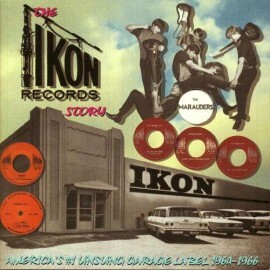 Double LP 28 track comp 1964-66" garage, surf, frat, and radio spots from Sacramento's Ikon Studios! Only one track has ever been reissued before. Madd Inc., Knightsmen, Marauders, Bristols, Avantis, Shondells - epic double LP - w/ plenty of great pics, notes and fabulous sound!